Botanical Kratom started with finding only the finest pulverulent Horned Leaf Green Vein available world wide for our clients. 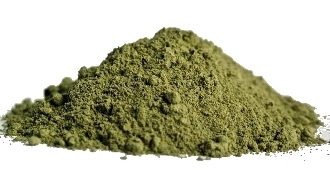 Botanical Kratom astounding Horned Leaf Green Vein is a truly marvellous accomplishment of Mother Nature. One of the hardest challenges given to our amazing team was to find a Horned Green Vein that no only passed our strict testing requirements but that was at a virtue to carry the Botanical Kratom Logo. We are so excited to announce this amazing all new Botanical Kratom Horned Leaf Green Vein. Any Product that carries our company name and logo must be the highest quality on the market. This is a promise we have made to our amazing clients. When seeing our logo on a product evokes a sense of noir to our clients. This is why we at Botanical Kratom. work so hard to ensure that whether you're contacting our toll free number, enjoying your experience on our website or you're right at the moment of opening your box to see your breath-taking product; you know you are in caring hands.